Van based franchises – what is available? Franchise UK > Franchise UK Blog > Van > Van based franchises – what is available? 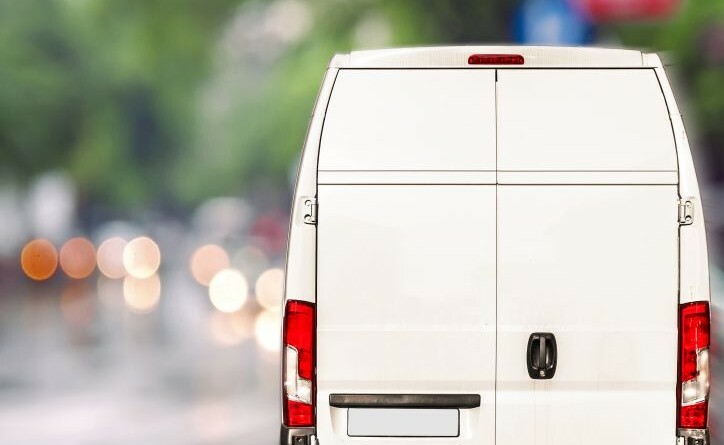 Van based franchises – What is available in the UK? Nowadays, there is a wide range of industries that can be considered by anyone. Earning a profit is mostly the main motivation of every entrepreneur. However, starting with a totally new brand will require double effort on proving something to the public. Having a van based franchises is a different thing. An entrepreneur will purchase a brand with an established recognition and credibility. One may be curious about the reasons why a van based franchise is offered for sale. First, a specific franchise has reached success that it needs to be sold for expansion. Second, there is a possibility that a franchisee is in the retirement age. He might want to focus on other things. Third, a franchisee might come to the point where he thinks that franchising does not match his interests. Fourth, a franchisee considers an option of relocating a business. Lastly, the need for financial assistance might be needed for a failing health. Among the available choices of van based franchises, there will always be a perfect type that will be functional for you. Van based franchises are very suitable for people who have experience in food delivery and fleet management. They are grouped into 2 categories—the single operator and multi-van franchises. This specific industry of franchise uses a number of vans. If an entrepreneur wants to be successful in franchising, choosing a van-based type has a great potential. Despite having various great choices for van based franchises, one must not doubt on what to select. There are important things to consider for finding the best franchise. Franchise type- in order to know what type of franchise fits you, knowledge, experience, abilities, and available resources must be assessed by the franchisee. For example, if one of the Van based franchises will be your choice, try to look at your capabilities for it. There will be an effective business management if an entrepreneur has evaluated himself. One must understand that risks are inevitable. We never know if a conflict or threat may arise. Being prepared at all times will save you from failure. Work history or experience- An entrepreneur had definitely ventured into business concerns before. For an instance, he was asked to take charge of their family business. The skills he got from previous work will be a good background to start a franchising industry. The ability to deal with different kinds of people is also needed in franchising. Customers tend to be attracted by a friendly staff or the franchisee. Preferred working location- This refers to the environment where the entrepreneur wants to perform his duties. A person might want to work at home, office, or outside. Specifically, van based franchises are expected to be roaming around an area. Activities enjoyed- There are entrepreneurs who want to drive, interact with people, work with children, and others. One must be aware that engaging to a franchise requires commitment. For a minimum of five years, an entrepreneur must enjoy managing a franchise to keep the business going. On the other hand, he might just find himself suffering for what he doesn’t like. When it comes to assessing the Van based franchises, an entrepreneur must be knowledgeable with every detail. It will ensure the good operation of the franchise for the succeeding years. Having a research about the background and previous performance of a franchise is very essential, especially when verifying some information. You must remember that starting a franchise is a long-term business. Aside from the business structure, you also need to be mindful with the financial aspect of the franchise. Does it earn or just waste a capital? Another consideration is looking at the potential of the franchise including its strengths and weaknesses. The success of the business will be observed if there is an excellent support from the franchisor. This type of support will guide the franchisee on the business system. It is necessary that Van based franchises have legal contract. The document will establish the connection between the franchisee and the franchisor. To avoid issues in the future, the buyer of the franchise must have a copy of the contract. With the strong willingness to instantly earn, there are franchises in UK that imitate the existing successful Van based franchises. Some of them are trying to attract potential franchisees through offering lower prices for investment. You can also notice if a franchisor is hiding some details. A bad franchisor seems to be unaware about the franchise. Being a BFA (British Franchise Association) member will be the best proof for the real existence of a franchise. An entrepreneur must not be easily convinced by franchise scams. The true success of business will be felt with the help of running an accredited franchise.